PlayStation 4 is here. Sony Computer Entertainment prez and CEO Andrew House announced the console with little more than a logo and a handful of concepts. We’re sure to hear more as the night goes on, and we’ll be updating this post as we learn more. Lead system architect Mark Cerny — legendary game dev and, to us, creator of Marble Madness — came up next. He said that development of the PS4 started five years ago. Cerny said he’s been exploring how to evolve “the PlayStation ecosystem,” and he started by speaking to the limitations of PlayStation 3. Cerny said he’s been aiming to make sure “nothing gets between the platform and the game.” An image of an old-timey hunter shooting space invaders in the sky is used as an example — here’s hoping the PS4 doesn’t mean we’ll be taking plastic guns and shooting pixels in the sky. “We were able to create in PlayStation 4 a system by game creators, for game creators,” Cerny said. As far as specs, he said it runs on x86 architecture, a “highly enhanced” PC GPU (with “almost 2 teraflops of performance,” he added), an unknown amount of local HDD storage, and 8GB of GDDR5 system memory. Cerny next unveiled the DualShock 4, which looks an awful lot like the leaks we saw recently — it features a touchpad, a light bar, and what looks like rubberized grips. Otherwise, it looks an awful lot like a DualShock 3 with some new bells and whistles. 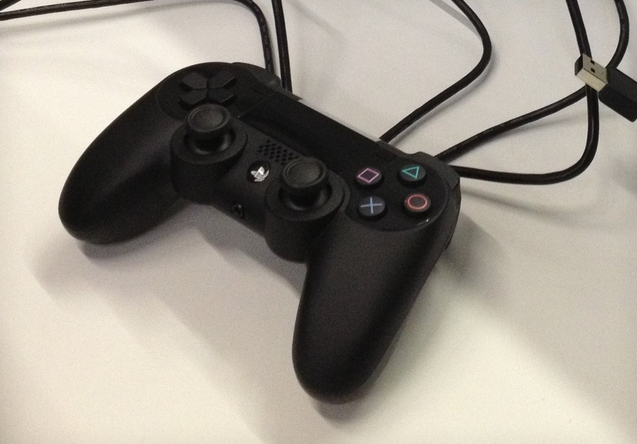 Cerny’s talking software now — the PS4 can pause and resume mid-game, allowing players to multitask at any point. There’s also a second chip dedicated to managing uploads and downloads, meaning you can download games in the background or when the system’s off. More importantly, however, you can start downloading a game and begin playing it as the download goes — pretty great! As far as sharing goes, PS4 is heavy on social interactivity; Cerny said its social network will extend beyond the console to mobile and Vita. He’s ambiguous about which platforms that’ll mean, but it sounds like Sony’s aiming to make it platform agnostic. There’s also a Pinterest-esque social app for friends to share screens and video, which Cerny said applies to the PS4’s “personalization” angle. “You’ll see real pictures of your real friends,” he said. David Perry went next, and he talked about Sony’s acquisition of Gaikai (he was the former head of Gaikai, but now he’s working with Sony). His game streaming service is being employed to run demos on PS4, allowing people to try any game they want instantly. 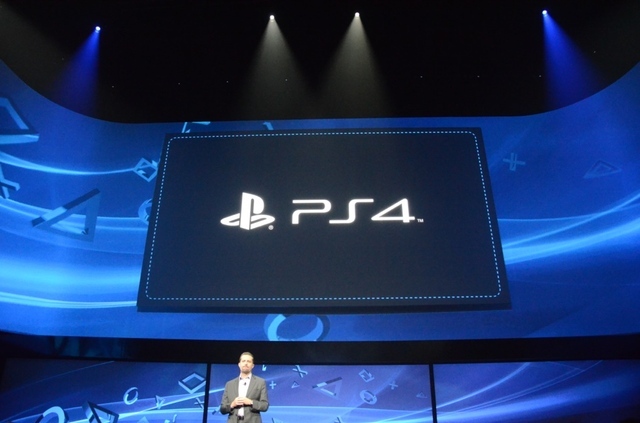 He also said that both Facebook and Ustream are being employed on PS4, using the DualShock 4’s Share button. But how much? He didn’t say. Beyond just sharing games you’ve already played, you can also livestream — to the point that a friend of yours who is spectating can actually jump into your game, via streaming, and help you out. But wait, there’s more! Despite Remote Play being a function in the previous PlayStation console, Perry said it’s also heading to PlayStation 4. A brief demo of Mark Cerny’s PS4 game Knack was shown — Perry said latency should be imperceptible, using Gaikai’s streaming tech. Perry gave one last tease: “everything everywhere.” He’s hoping that PlayStation Cloud will apply to more than just PS4 and Vita, but also to mobile devices as well. The service will roll out “in phases,” Perry said, without giving more detail, though he did say that Cloud will power PS1, PS2, PS3, and PlayStation Mobile games. We’re liveblogging Sony’s big PlayStation event tonight at 6pm ET! It’s tonight at midnight that Sony will launch a new PlayStation!? in his great show, with the obvious aim of finally submit its fourth generation, currently called Orbis. The conference can be followed live through the world and you can watch it down below. Find us at 6pm ET (NYC time) or 11pm (GMT +0) live here for a pre-conference where we can come together to discuss our expectations for the conference and the Playstation 4. 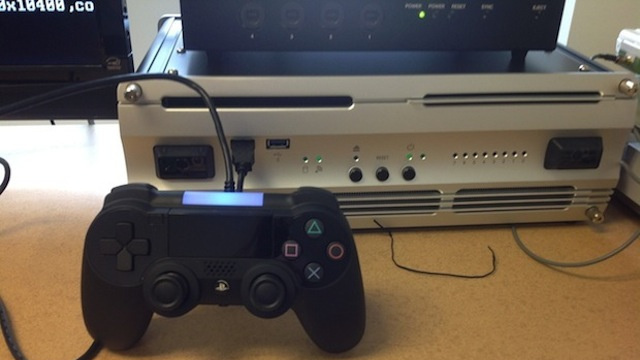 Yesterday, a mysterious photo of what aimed to be of Playstation 4’s contoller has traveled the web. It showed a redesigned controller, but also the presence of a strange area on the front of the controller. Now comes a new photo on the web. This is a photo of the same device, but taken from a different angle. A new “proof” of the existence of a touchpad how to handle the Vita? Others imagine a screen, simply. But let’s be crazy, why not both at the same time? We can also perceive what could be a 3.5mm jack at the base. As a microphone jack on the Xbox 360 controller? We will in all cases set on February 20. 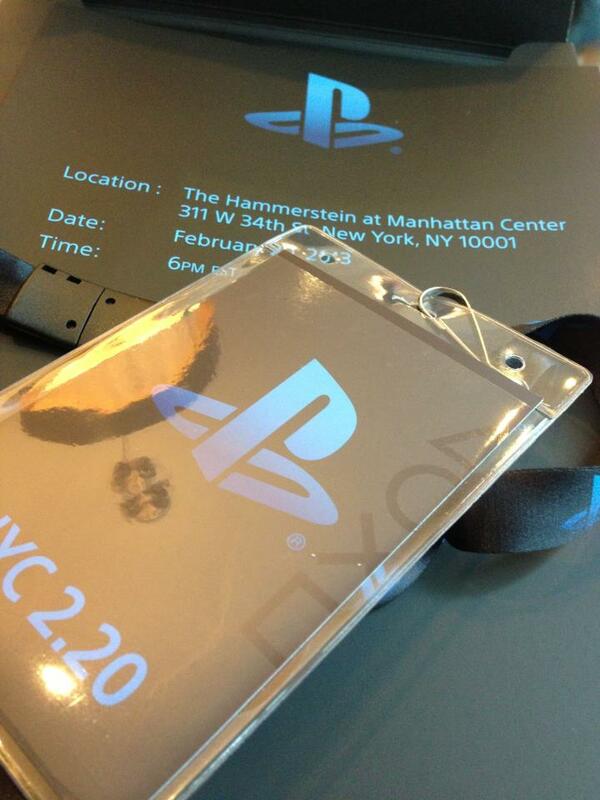 We will obviously aware of the revelations made ​​during the Sony conference. So stay tuned cause we’ll let you know all like if you are in top of the event. Set your callender on February 20’th. 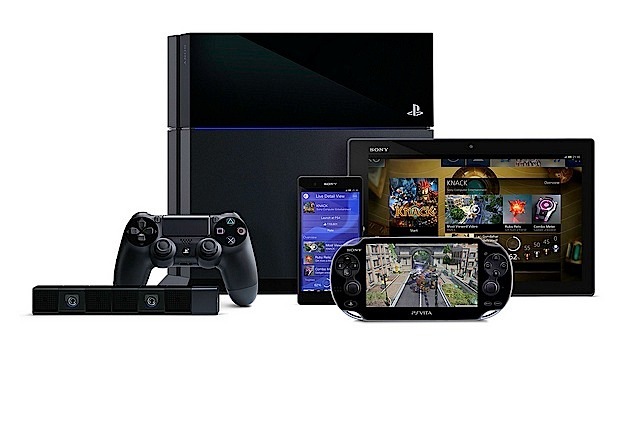 It’s on Febuary 20th that Sony is expected to unveil some details about the world’s future console, the PlayStation 4. Difficult to know what will come out of this conference, because the device might not be available before the end of the year, with perhaps some additional information during the E3 of this year. The Japanese manufacturer could then simply sow some pebbles history to raise the sauce. Anyway, the controller should suffer serious update. Rumor has discussed the integration of a touch area as PS Vita, and the photo above seems to confirm this indiscretion. Unfortunately, we do not know from where the really cliché, but the housing at the back of the controller could be the development kit provided by Sony to a few publishers. That being said, take this it with a grain of salt. It may quite be a prototype, the size of the area devoted to the touchscreen issue arises: the center would be difficult to achieve, if not impossible, with hands gripping the edges (unless of loooongs inches). Furthermore, what just bring the blue light on the top?